I believe that kids should play in the rain, pending down pours, thunder, and lightning. So maybe there are some exceptions to the statement above. 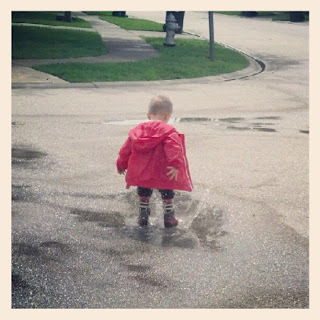 We've stayed inside the past few days, because of the storms that kept brewing over our house, but today we took advantage of the break mother nature took when the rain let up. 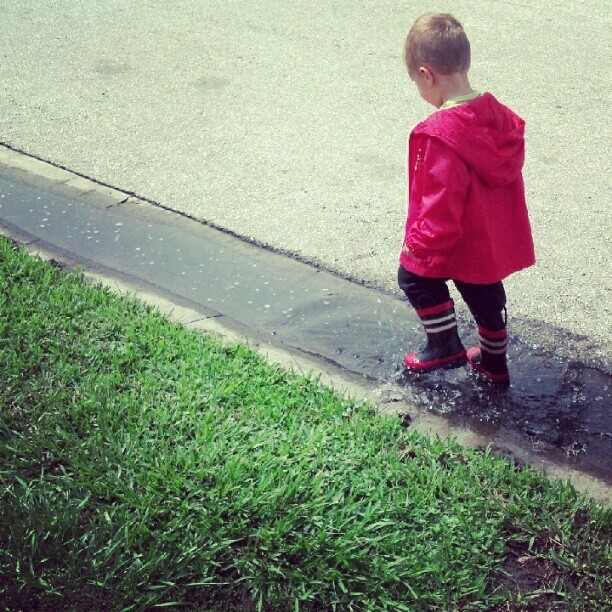 We grabbed our raincoats and boots, and went puddle hunting! We found some worms, and a big fat slug, listened to the frogs croak, chased some lizards, and dug in a little mud during our hunt. The sun even made an appearance from behind the clouds for an hour or two. 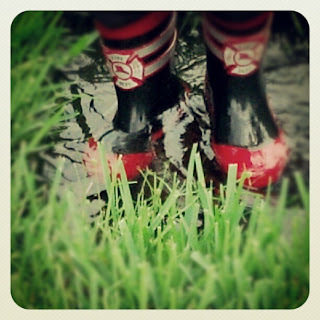 It was simple fun , and we hope mother nature invites us back for another play date soon! What wonderful photos, love them. It is funny how many posts in this weeks link up are about puddles & rain - I can see it is a universal pattern at the moment everywhere. I think I am half fish or duck this week we have had so much rain. 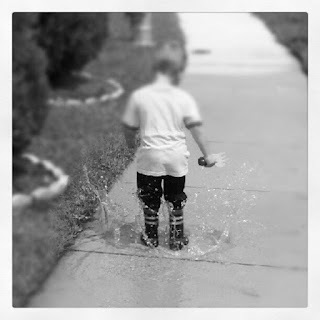 Thanks for linking up & looking forward to following your blog. Awesome photos! We love puddle jumping at this house but have gotten so little rain this spring/summer that puddles are just never around. Such a bummer. 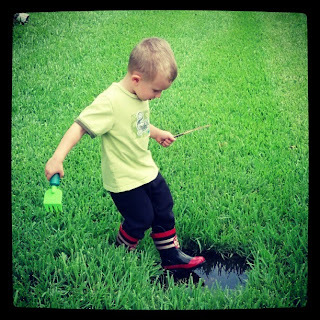 Thanks for joining the outdoor play party.